Bob Reid wasn’t at St. Thomas long, but he certainly made an impact on the school and surrounding community. Originally from Montreal, Reid traveled to Chatham to head the Chatham Recreation Council. Recruited for the job by former St. Thomas athletic director and hockey coach, Vance Toner, he decided to enrol at St. Thomas and join the hockey team. 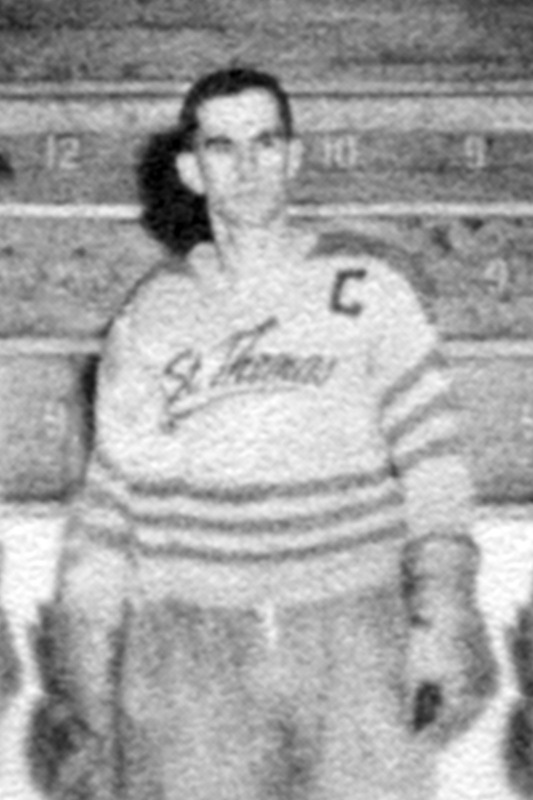 Reid, a defenceman, became team captain in 1958. As an experienced hockey player, he guided the young Tommies team with his leadership in the dressing room, at practice and at game time. Bob was lauded for his contribution to the community, and is known for helping to build a minor hockey program in the area. Reid also played football while at St. Thomas and his contribution to the university will be recognized for years to come.